McLaren's Fernando Alonso dubbed it a 'Ferrari replica,' McLaren director Zak Brown a 'Faas,’ and it's been compared to both last and this year's prancing hors; whatever you want to call it, the Haas VF-18 is a divisive machine. Haas' technical tie-up with Ferrari is nothing new. It was announced in 2014 before the team even debuted in Formula 1 come 2016. From its very first charger, the VF-16, there's always been a 'Ferrari familiarity' to Haas' cars, but the American team's strong pace at the start of the 2018 season has its rivals (back) up in arms about its relationship with Ferrari and what is and isn't allowed. Technical partnerships are perfectly fine, provided a team still meets the criteria for being a constructor. This is determined by designing (or owning the IP to) certain so-called 'listed parts'. That includes, crucially, all bodywork "in contact with the external airstream," i.e. all aerodynamic surfaces of the car, excluding items such as cameras, lights, etc. Haas designs its own bodywork and supplies its drawings to Italian chassis constructor and manufacturer Dallara. Haas uses Ferrari's Maranello wind tunnel for part of this aerodynamic development work, however, and in addition buys whatever it's allowed to from Ferrari ranging from engines, gearboxes, and the suspension system to mechanical parts. So what are Haas' rivals upset about? McLaren and Force India have been particularly critical following Haas' strong showing in winter testing and the season-opening Australian Grand Prix weekend, where it locked out the third row in qualifying but failed to score due to trouble in the pits. Their chief concern is not Haas running as many Ferrari parts as possible, but the similarity of its car concept and aerodynamics to recent Ferraris. "Is it yours or somebody else's [idea]? That's the real question,” Force India's chief operating officer Otmar Szafnauer told Autosport. "Maybe it's their own, it's just suspect,” said Szafnauer, who is baffled by Haas' ideas and solutions compared to its limited experience, small scale and infrastructure. "How can you gain that knowledge without history and the right tools and people?" Force India's technical director Andrew Green took it one step further, telling Auto, Motor und Sport that "you can't tell me they [Haas and Ferrari] don't communicate to develop more quickly and problem-solve." McLaren's Zak Brown told Autosport he doesn't have evidence of anything untoward happening, but: "We all know they have a very close alliance with Ferrari and I think we just need to make sure it's not too close. There could be some influence, there's certainly some parts of the car that look very similar to last year's [Ferrari] car." Why are they complaining now? 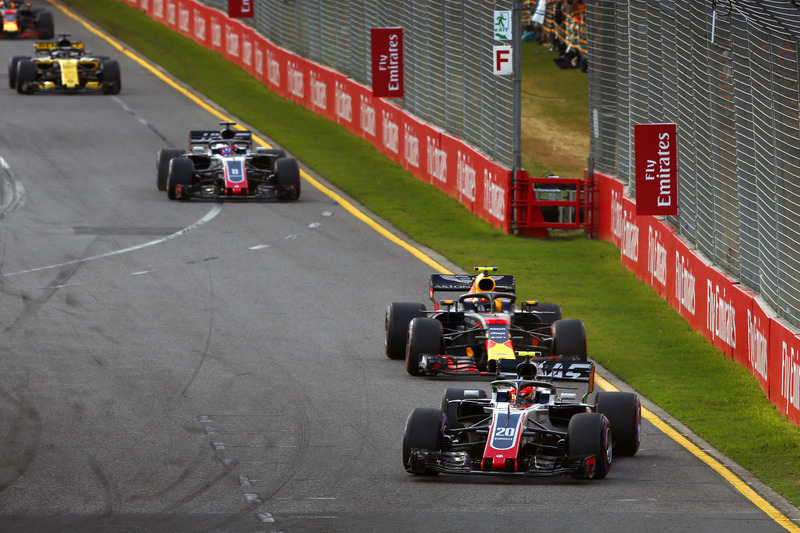 Haas finished eighth in the constructors' championship in 2016 and 2017, but based on the first race of 2018 could turn out to be a serious contender to finish a 'best of the rest' fourth behind the big three: Mercedes, Ferrari and Red Bull. Force India claimed fourth in both 2016 and 2017, with the Silverstone-based team targeting a repeat and McLaren—ninth in 2017—aiming for fourth or better this year. "Everybody is allowed to have an opinion. Some people have an opinion, which I think is based on no facts. 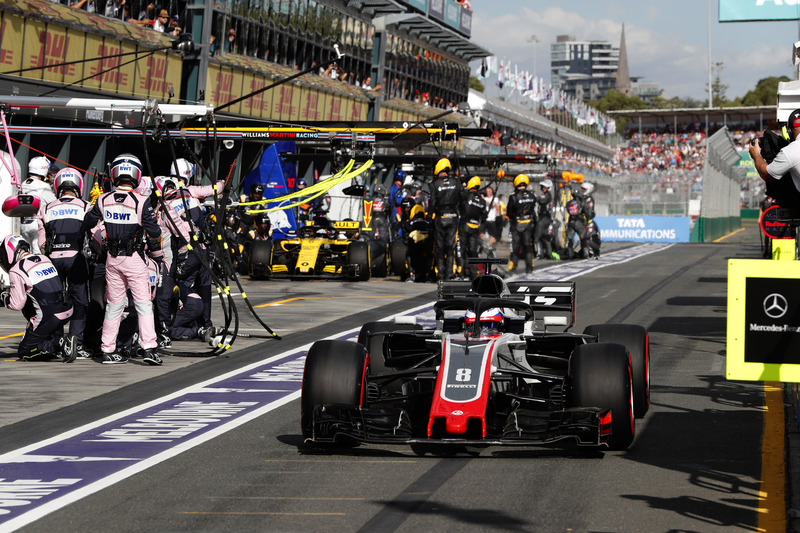 It does not have a lot of value to me," Haas Team Principal Guenther Steiner countered in a team press release. "If people have an issue, fine with me. We report what we are doing, like everybody else, to the FIA. That’s why I’m more than confident we are not doing anything wrong." Romain Grosjean in the Haas VF-18. That depends. Force India and McLaren could file an official protest against the VF-18 at next weekend's Bahrain Grand Prix, as Steiner has invited (or challenged) them to do. Will Haas' rivals take it that far? A lot will no doubt depend on how strong the U.S. team performs in the coming races. Force India and McLaren could also raise questions about how the FIA, which has said it has no concerns about the Haas-Ferrari relationship, regulates such technical partnerships, which would turn it into a different discussion altogether.